The beginning of a relationship is a time of nervous excitement and romance, aptly dubbed the “honeymoon phase.” Both parties present their best sides, while making sure that the closet containing the skeletons of their past remains firmly shut and triple-locked behind them. I remember my first date with my boyfriend. We spent six hours at a restaurant talking and laughing like old friends. We only ended the date because my mother and sister were frantically texting and calling me, afraid that I had been murdered. Because, really, who goes on a six-hour first date? And although we discussed everything from our childhoods to our political views, we hadn’t touched on anything too serious. I think that’s because letting someone see the real you can be daunting and leaves many – myself included – feeling vulnerable. Dating then becomes an experiment: pulling one skeleton out at a time and evaluating how each partner reacts. If they don’t throw their arms up and run out of the room screaming, then the relationship continues and more skeletons are slowly revealed. As a relationship progresses, each partner will begin to wonder where the relationship is going. Are we going to move in together? Do they want to get married? How do they handle their finances? How are we going to handle the holidays? These are only a few of the questions that every couple must answer as they grow in their lives together. However, discussing the future can be terrifying. I was recently out to dinner with a friend who was preparing to celebrate her two-year anniversary with her live-in boyfriend. She mentioned that she was ready to get married and have children, but when I asked her what her boyfriend thought about it, she couldn’t tell me. She said she didn’t want to bring it up to him because she was worried he would misinterpret her desire to talk about their future as pressure for him to take the next step. If they don’t want the same things I do, will we have to break up? The answer is, depending on the circumstances, maybe. And therein lies the fear. The truth is, I cannot say whether or not having “the talk” about the future with your partner will strengthen or ruin your relationship. That depends on whether or not you are able to navigate your differences with compromise. But I can say there is a way to make the process less intimidating. As a Gottman Seven Principles Program Educator, I have worked with both married and premarital couples. I recall one young couple, let’s call them John and Jane. Their names have been changed to protect the innocent, although how funny would it be if that were their names? I mean, really. John and Jane had been dating for 10 months and were contemplating moving in together. Jane, familiar with Dr. Gottman’s research, reached out to me to help them examine the state of their relationship before making a decision. 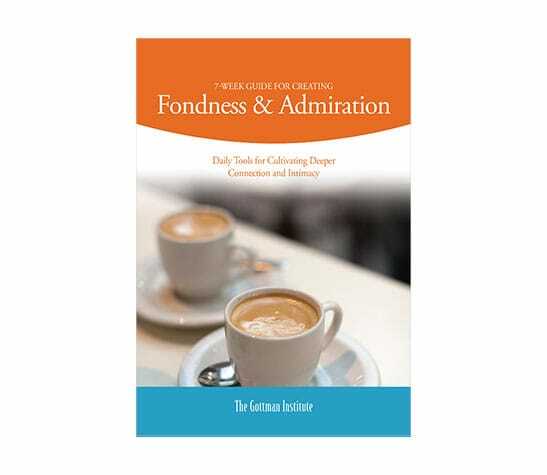 Upon meeting them, Jane immediately began to tell me her thoughts on Dr. Gottman’s Seven Principles and she threw out Gottman terms like “Love Map” and “Four Horsemen of the Apocalypse.” John, on the other hand, sat frozen in terror, struggling to convey a sense of calmness through ever widening eyes. He was flooded. I needed to do something to make this session less anxiety-provoking before poor John passed out. Normally, I begin my sessions with a brief overview of the Seven Principles, but given that Jane had already done that for me, I decided to do something a little different. I pulled out my Love Map card deck and told my couple we’d be playing a game. I would ask a question from my deck, such as “What’s your partner’s most embarrassing moment?” and whoever answered correctly would get a point. I then had them wage a “bet” to see who could answer the most questions correctly. If Jane answered more questions, John would have to give her a foot massage. If John answered more questions correctly, Jane had to cook dinner that evening. I could see John’s competitive spirit burning brighter than his fear. It was on! The purpose of the game was to get my couple to loosen up; however, it also helped them start to talk about their hopes and dreams for their future together. 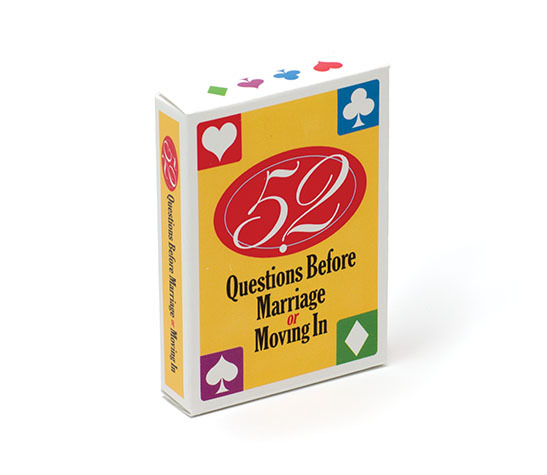 Once I felt my couple was relaxed and feeling good about their relationship, I decided to run them through my deck of 52 Questions Before Marriage or Moving In, which touch upon Romance, Social Life, Work, and Money. I personally find it helpful to begin and end with cards from the Romance pile, to help them ease in and out of the conversation on a high note. In the end, John and Jane were able to examine and discuss important areas of their relationship without the fear and anxiety that usually accompanies these discussions. John may have scored more points, but their relationship was the real winner. Monica is a Master’s level counselor and Gottman Seven Principles Program Educator with a passion for providing culturally competent care. She lives in South Florida with her boyfriend and beloved Chihuahua.